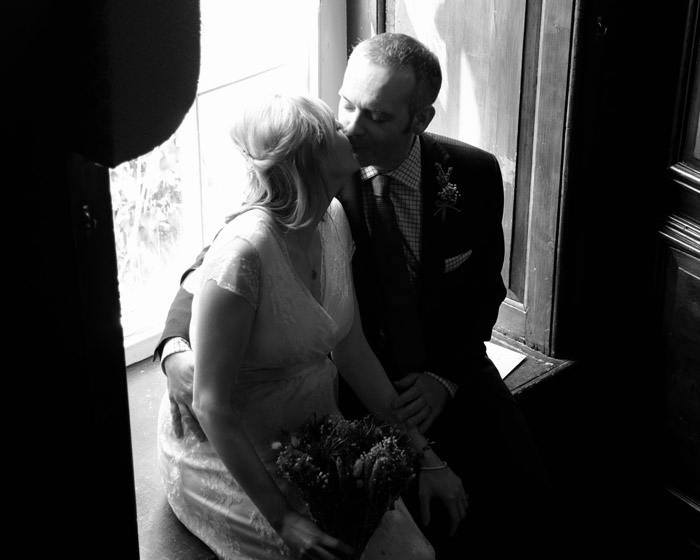 Gemma and James were married on a Spring day at Faenol Fawr near Bodelwyddan. Faenol Fawr is a glorious Tudor manor house, steeped in history, and made an exquisite backdrop to the wedding. We were asked to create natural and relaxed pictures that reflected the couple's personalities, alongside a wide range of family groupings to ensure that everyone particpated in the day. What we particularly liked about this wedding was the relaxed, family vibe and the beautiful but intimate venue. We also loved the decorations chosen by the couple; all around the ceremony and reception room were large flowerpots brimming with garden flowers, which is a great idea because you can take them home with you afterwards. 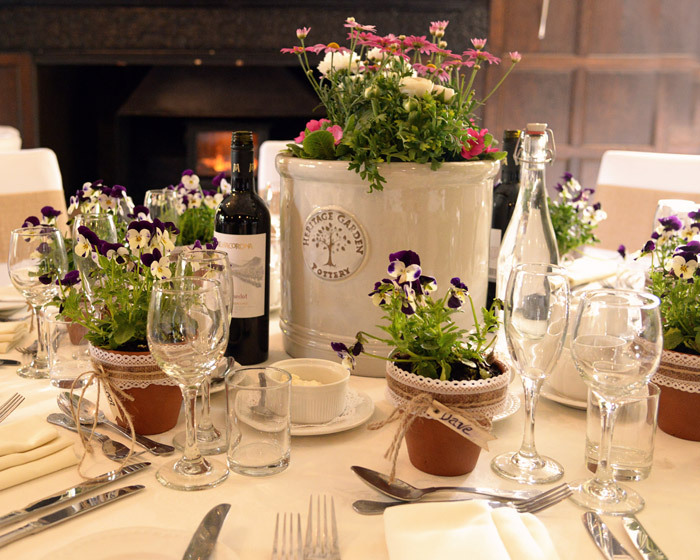 Each guest also got to take home a pot of flowers, as smaller pots of pansies were placed on the tables as wedding favours. Faenol Fawr is a great location for wedding photography. The gardens, and particularly the stone outbuildings, create wonderful textured backdrops. And we were able to sneak up to the first floor to take the group photograph from a window, a useful technique to make sure that everyone's face is included and safer than wobbling on our stepladder! Older PostSmiling together for the Stroke Association!